Skye Gravestones | Christopher Finlayson, ss. John & Donald. Christopher Finlayson, ss. John & Donald. 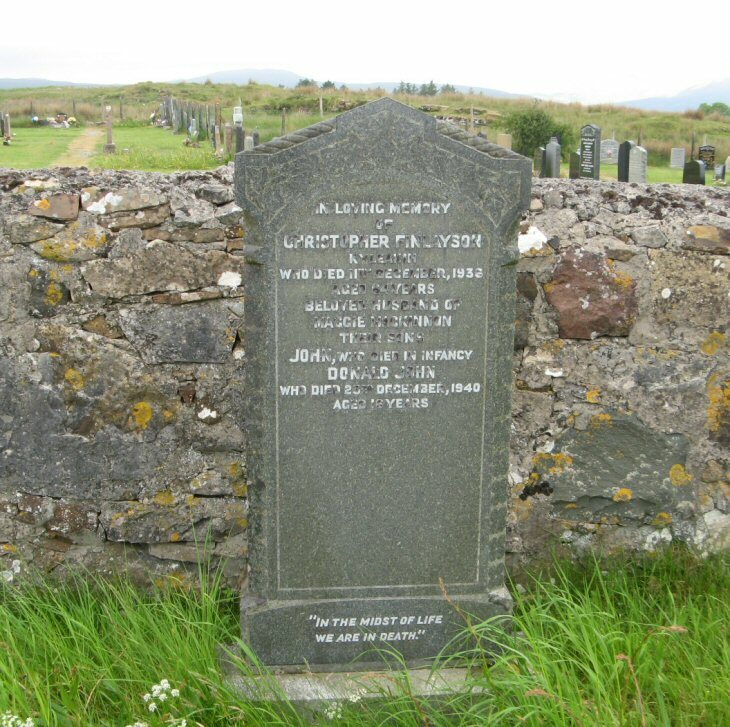 In loving memory/of/CHRISTOPHER FINLAYSON/Kyleakin/who died 11th December 1936/aged 64 years/beloved husband of/MAGGIE MACKINNON/their sons, who died in infancy/DONALD JOHN/who died 23rd December 1940/aged 16 years. "In the midst of life/we are in death." Picture Added on 02 January 2014.